/mo. for first 12 months with 24 month agreement. Pricing, speeds, and availability vary by location. Requires AutoPay/E-Bill enrollment, otherwise $10 more per month. 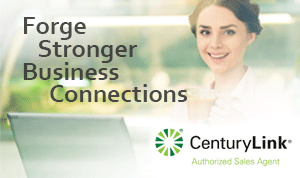 CenturyLink Business Class Pure Broadband 12 offers your business internet service with download speeds up to 12 Mbps! Power through high-demand jobs like downloading large files, video conferencing and multi-tasking online. One connection easily supports multiple users at the same time. How fast is CenturyLink's Business Class Pure Broadband 12 Mbps Plan?